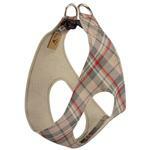 Jump to the top of the class with the Scotty Step-In Dog Harness by Susan Lanci in Doe Plaid! 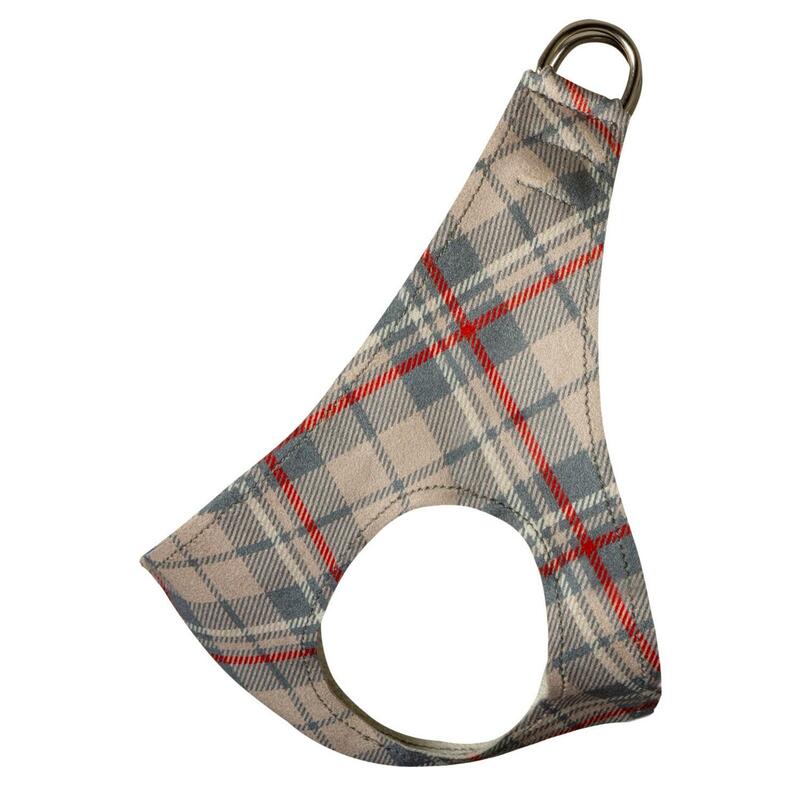 Comfort and function dominate the Susan Lanci Step-in Harnesses, but fashion is not left out with our Scotty Step-In Dog Harness in Doe Plaid. Also known as the Pure & Simple, this harness fastens by a single quick-release buckle located above the dogs’ shoulders. The cut is well below the dogs’ neck so the pulling is across the shoulders and not the neck. Easy for you to maintain, this harness is made from genuine commercial upholstery grade Ultrasuede® fabric that we import from Japan. This soft, comfortable fabric is breathable, washable and colorfast. Made in the USA. Care: Ultrasuede® is a synthetic fabric that delivers unparalleled luxury, appeal, performance, and ease of care. Soft to the touch, yet very durable. This fabric is resistant to stains, discoloration, and is completely machine washable. Use of a lingerie bag is recommended. Wash in cool water using mild soap or detergent. Do not use fabric softener. Tumble dry low on no heat or air dry.